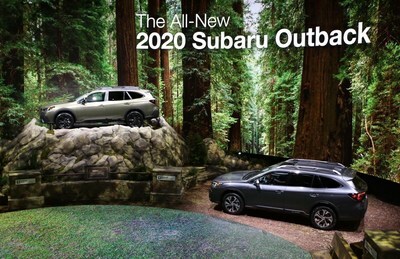 NEW YORK, April 17, 2019 /PRNewswire/ — Subaru of America, Inc. today unveiled a one-of-a-kind display at the 2019 New York International Auto Show, honoring the automaker’s long-standing support of the national parks and partnership with the National Park Foundation. The Subaru display allows attendees to experience Yosemite, Denali, Arches and Yellowstone national parks from inside New York’s Jacob K. Javits Convention Center. Auto show attendees are immersed in a 360-degree, floor-to-ceiling experience, designed to celebrate the relationship between Subaru customers, their love for outdoor adventure, and the introduction of the all-new 2020 Outback – the most adventurous, most reliable, safest and best Outback ever. As the largest corporate partner to the National Park Foundation, Subaru is leading the way in bringing awareness to the parks during National Park Week (April 20 to 28) to celebrate America’s treasures. 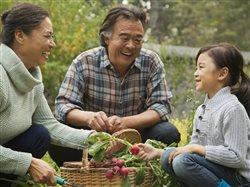 National Park Week is a time to explore amazing places and discover stories of history and culture. Making the National Park Foundation an early partner of the Subaru Share the Love Event, Subaru became the sole automotive partner of the Find Your Park/Encuentra Tu Parque campaign, and began sharing its zero-landfill expertise through the Don’t Feed the Landfills initiative, helping parks eliminate over 6 million pounds of waste.